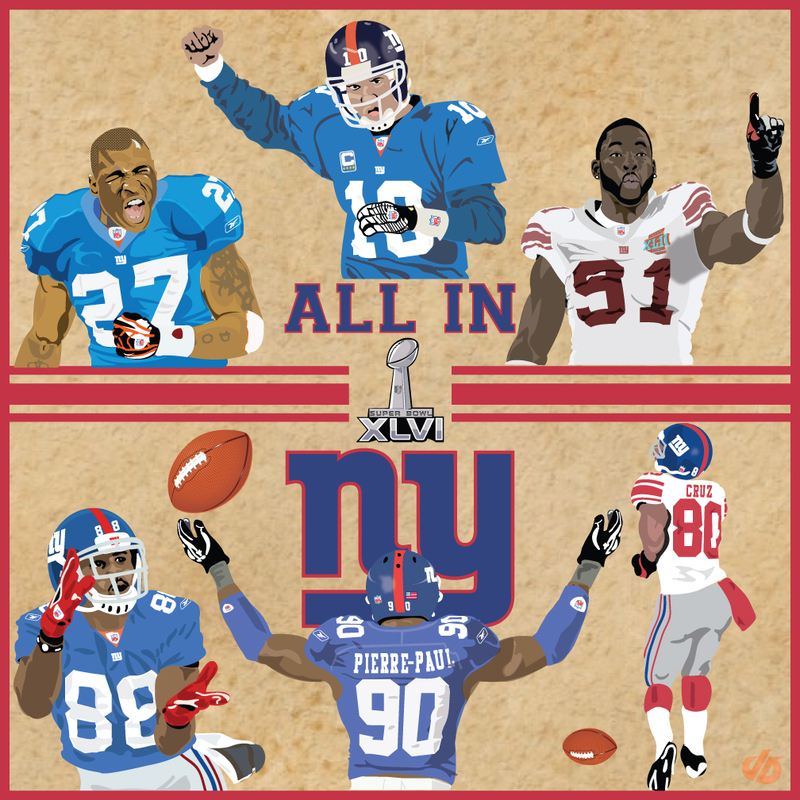 To commemorate the big game this weekend I have done an illustration supporting my home team the New York Giants. As many of you, I am very excited for this years match up against the New England Patriots serving as a renewed rivarlry that began four years ago at Super Bowl XLII. The way the Giants have been playing of late, I’d have to favor them in this match up, but regardless it is going to be an exciting game. To accompany this month’s artwork I have included a video highlighting the Giants 2011 season. Enjoy the new art and the Super Bowl this weekend! GO BIG BLUE! WE ALL IN!